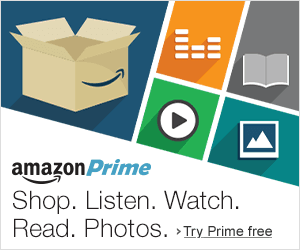 Amazon Prime is a paid subscription service offered by Amazon that gives users access to free two-day delivery, streaming video and music, and other benefits for a monthly or yearly fee. Amazon Prime currently costs Rs 999 per Year which includes all the Features of Prime and Prime Video. You can activate Amazon Prime Trial to test and try it for free. 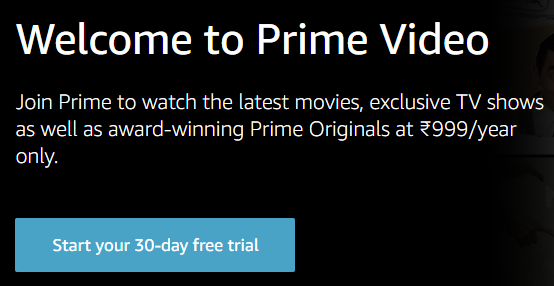 You can watch Prime Videos Online for free for 30 days following the given steps. IMPORTANT: You need any Credit Card or ICICI/HDFC Bank Debit Card in order to Verify. Don’t worry, you can delete your card once your Trial ends. Step 2: Click on Start your 30-day free trial. Step 3: Login or Signup to your Amazon Account. Step 4: On next page, you have to Pay Rs 2 which will be refunded later. Just select Credit or Debit Card and Enter your Card Details. Step 5: Click on Continue and Complete the Payment of Rs 2. Step 6: That’s it. You have successfully activated Amazon Prime Trial for 30 Days absolutely Free. Your Rs 2 will be refunded within 5-7 days. NOTE: If you ae using your physical card then make sure to delete it before the trial ends to avoid the renewal charges.